I don't think these trees are big enough for Canterbury. Please arrange for bigger ones. I hope the trees are not deciduous. If they are, then another type must be selected. 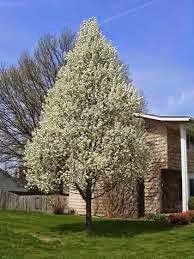 They are deciduous as a pyrus is a pear tree . That's right, however, this species is the one chosen by residents.